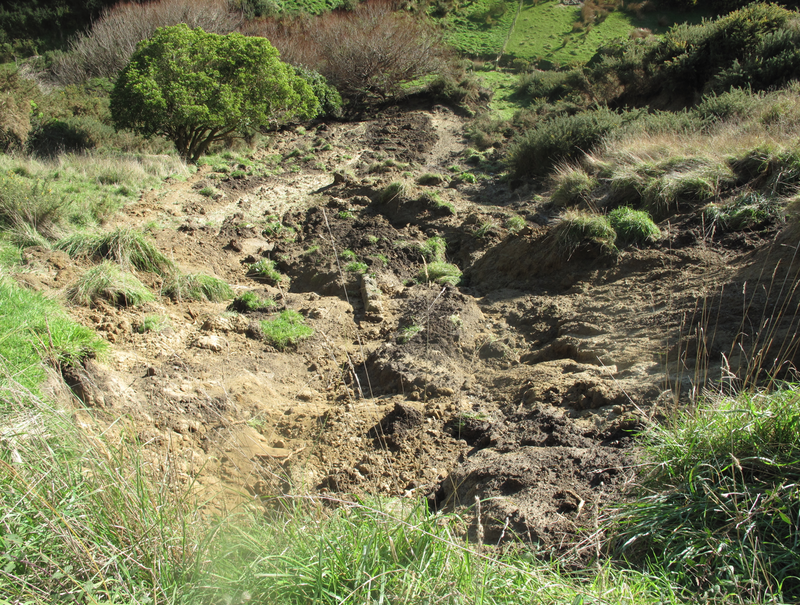 We have been on our land for 10 months – not enough time to stabilise the vulnerable hillsides. Last weekend we had 140 mm of rain fall in 36 hours. 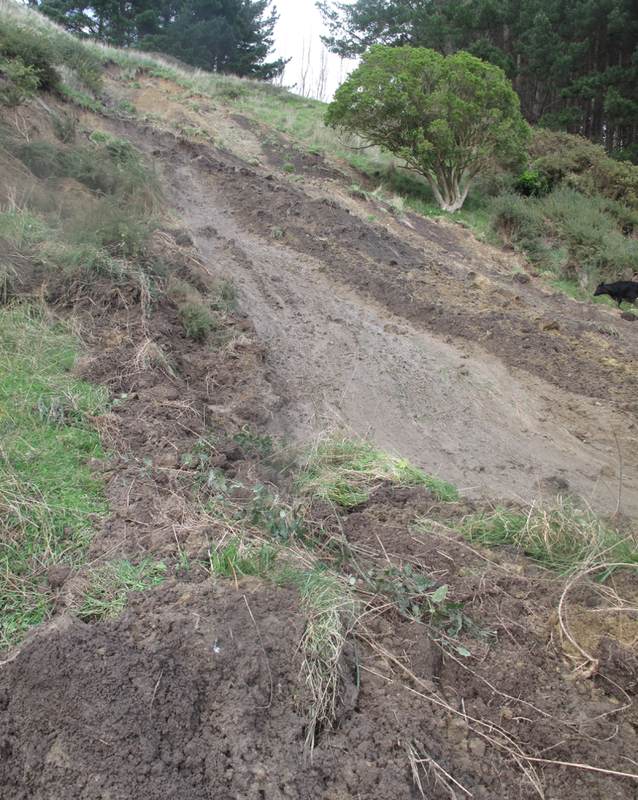 From one spot I can see 9 slips – mostly on the neighbours land, but overall a humbling experience. This is across the valley on the edge of our land. This is the large slip on our land. This is across the creek in a patch of native bush. This minor slip was arrested by two large poplars. Across the valley on the neighbours land. We have hundreds of trees ready to plant on the slopes to hold the soil. This is the right time of year to be planting. Anyone is invited to our place on Sunday 5th July 1-5 PM to plant trees on the steep slopes. BBQ and Texas Chili Cookoff to follow. Presume that you arn’t putting in poplars. From experience, when they grow taller, they catch the wind and the roots work the land that can cause slips.